This is a review for the Brain Storm Elite supplement. The producers advertise this dietary supplement as a perfect solution for a faulty memory. It is supposed to increase productivity as well as promote healthy brain activity. Apart from that, it is also said to be helpful with both short and long term memory. Keep on reading to learn more details about this remedy and whether or not we believe it to be a smart purchase. Despite our best efforts and extensive research, we were unable to find what other ingredients this product may contain. Therefore, customers with dietary restrictions, especially vegetarians or people who are intolerant to some products should first carefully read the label. One thing the manufacturer advertises is the fact that this product contains exclusively natural ingredients. The label recommends one capsule a day as the ideal dosage. For customers who wish to take advantage of intensive effects, the dosage can be increased to two capsules a day, but the manufacturer clearly advises against exceeding this. The capsules should be taken with water, usually in the morning. After thorough research we were unable to find out if this supplement has any possible side effects. What we did manage to learn is that this product is not recommended for children under 18 and nursing or pregnant women. More than that, customers should take into account the fact that some of the ingredients could have side effects if the recommended dosage is exceeded. For instance, St Johns Wort is known for causing fatigue, dizziness and even stomach aches. One bottle of Brain Storm Elite costs $53.98. Unfortunately, we were unable to ascertain if this dietary supplement is affordable or not, given the fact that the product’s official website does not mention anything about the number of capsules a bottle contains. However, the good news is that the manufacturer also offers some discounts depending on the number of purchased bottles. For example, customers who buy two bottles of Brain Storm Elite receive another bottle for free and when buying three bottles customers get other two bottles free of charge. Unfortunately, the manufacturer offers no guarantee for this product. The product’s official website does not mention anything about a return policy or about refunds. On top of that, the site also seems to lack customer reviews, both positive and negative. There actually is no indicator to whether or not this dietary supplement is truly effective, which is incredibly concerning for potential customers. 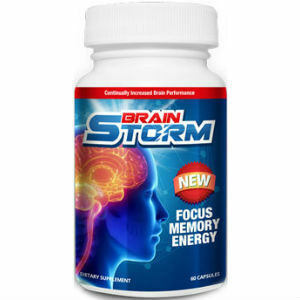 Brain Storm Elite is a somewhat affordable product which has the advantage of being made with only natural ingredients. However, the good news seems to stop here. There are a lot of questions being raised by the lack of guarantee and lack of customer reviews. Apart from that, missing information about ingredients and side effects is also concerning. Henry Costa	reviewed Brain Storm Elite	on November 15th	 and gave it a rating of 2.5.